This beautiful Christmas tree arrangement is full of miniature red carnations, english boxwood, silver ornament balls and topped with a darling silver snowflake. 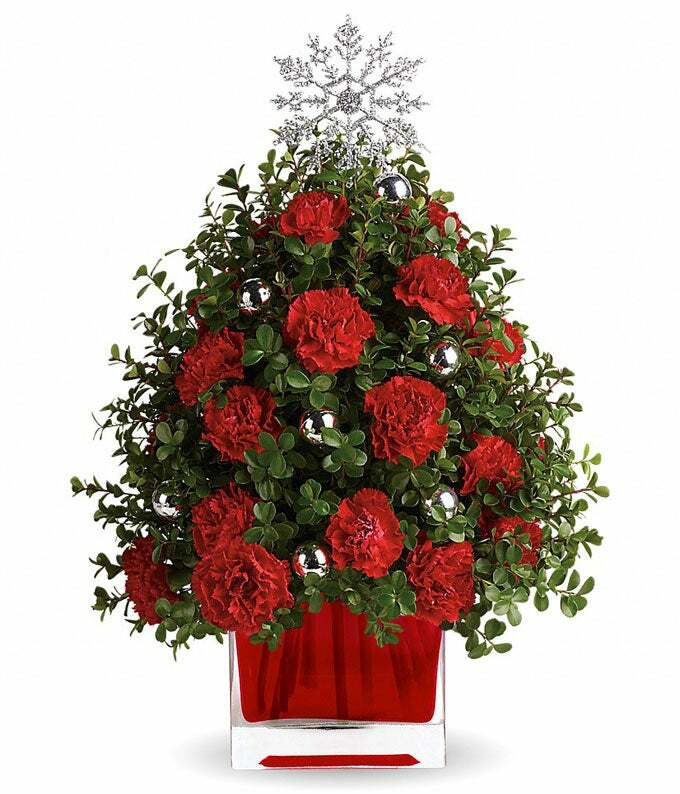 This Christmas tree is hand-delivered in a red snowflake cube container that can also be used as a candleholder once the flowers are gone. Note: Vase may vary depending on local florist's availability.